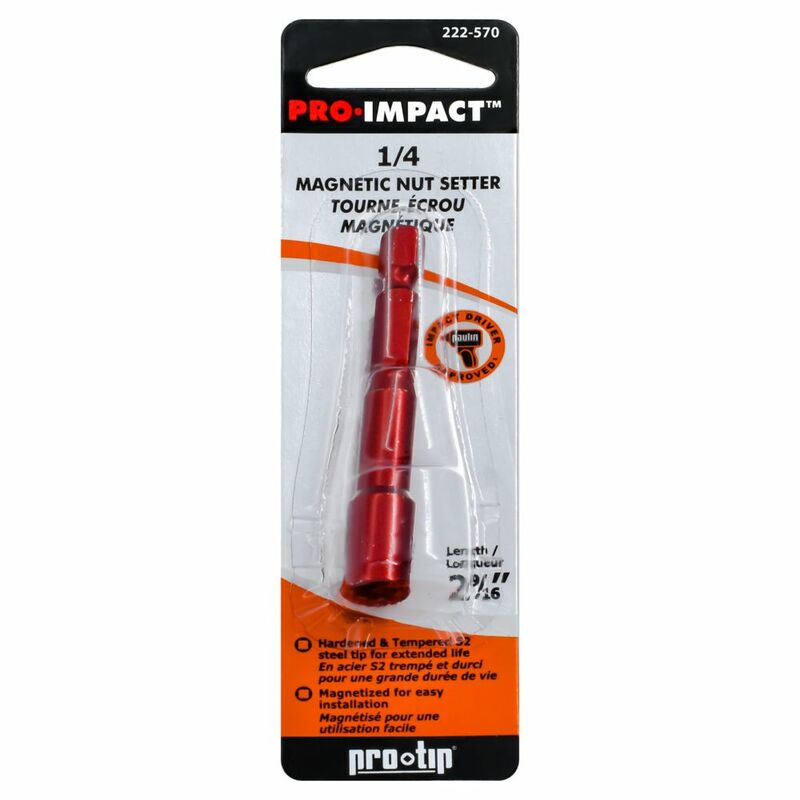 The 1/4 x 2 9/16-inch Mag Nut Setter is a premium screw driving bit. Standard steel shank will not damage drill. An X-shaped pointed tip and four cutting edges make this TE-CX masonry drill bit from Hilti a real workhorse. Its constructed with two-component tungsten carbide to absorb and withstand impacts with rebar when drilling into reinforced concrete, providing utmost strength and durability even as working temperatures escalate. The fluted design allows dust and debris to be rapidly expelled for steady performance when drilling into mortar, brick, cement, concrete, cinder block or other stonework. Its 10 mm shank fits SDS-Plus-style rotary hammer chucks. 1/4 x 2 9/16-inch Mag Nut Setter The 1/4 x 2 9/16-inch Mag Nut Setter is a premium screw driving bit.